For more information, see Transcendental Meditation technique. Pages in category "Transcendental Meditation practitioners"
The following 200 pages are in this category, out of approximately 231 total. This list may not reflect recent changes (learn more). David Keith Lynch is an American filmmaker, painter, musician, actor, and photographer. He has been described by The Guardian as "the most important director of this era", while AllMovie called him "the Renaissance man of modern American filmmaking". His films Blue Velvet (1986) and Mulholland Drive (2001) are widely regarded by critics to be among the greatest films of their respective decades, while the success of his 1990–91 television series Twin Peaks led to him being labeled "the first popular Surrealist" by film critic Pauline Kael. He has received three Academy Award nominations for Best Director, and has won France's César Award for Best Foreign Film twice, as well as the Palme d'Or at the Cannes Film Festival and a Golden Lion award for lifetime achievement at the Venice Film Festival. In 2016, Mulholland Drive, was named the top film of the 21st century by the BBC following a poll of 177 film critics from 36 countries. Transcendental Meditation (TM) refers to a specific form of silent mantra meditation and less commonly to the organizations that constitute the Transcendental Meditation movement. Maharishi Mahesh Yogi created and introduced the TM technique and TM movement in India in the mid-1950s. Maharishi Mahesh Yogi was an Indian guru, known for developing the Transcendental Meditation technique and for being the leader and guru of a worldwide organization that has been characterized in multiple ways including as a new religious movement and as non-religious. He became known as Maharishi and Yogi as an adult. Maharishi University of Management (MUM), formerly Maharishi International University, is a private university in Fairfield, Iowa. It was founded in 1973 by Maharishi Mahesh Yogi and features a "consciousness-based education" system that includes the practice of the Transcendental Meditation technique. Its founding principles include the development of the full potential of the individual, fulfilling economic aspirations while maximizing proper use of the environment and bringing spiritual fulfillment and happiness to humanity. 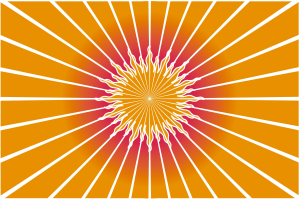 The Transcendental Meditation movement refers to the programs and organizations connected with the Transcendental Meditation technique founded by Maharishi Mahesh Yogi in India in the 1950s. The organization was estimated to have 900,000 participants in 1977, a million by the 1980s, and 5 million in more recent years. 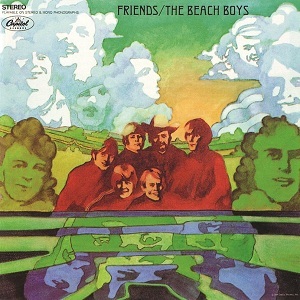 Friends is the 14th studio album by American rock band the Beach Boys, released on June 24, 1968 through Capitol Records. The album is characterized for its calm and peaceful atmosphere, which contrasted the prevailing music trends of the time, and for its brevity, with five of its 12 tracks running less than two minutes long. It sold poorly, peaking at number 126 on the US Billboard charts, the group's lowest US chart performance to date, although it reached number 13 in the UK. Fans generally came to regard the album as one of the band's finest. The Global Country of World Peace (GCWP) was inaugurated by Maharishi Mahesh Yogi, the founder of Transcendental Meditation, on October 7, 2000. It is a non-profit organization that claims to promote Transcendental Meditation, education, and the construction of "buildings for peace" in the world’s major cities. The GCWP was originally conceived as "a country without borders for peace-loving people everywhere." It has issued a currency called the "Raam," and its leader is neurologist Tony Nader. The David Lynch Foundation for Consciousness-Based Education and World Peace (DLF) is a global charitable foundation with offices in New York City, Los Angeles, and Fairfield, Iowa. It was founded by film director and Transcendental Meditation (TM) practitioner David Lynch in 2005 to fund the teaching of TM in schools. Over the years it has expanded its focus to include other "at-risk" populations such as the homeless, U.S. military veterans, African war refugees and prison inmates. In February 1968, the English rock band the Beatles travelled to Rishikesh in northern India to take part in an advanced Transcendental Meditation (TM) training course at the ashram of Maharishi Mahesh Yogi. The visit followed the group's denunciation of drugs in favour of TM, and received widespread media attention. Led by George Harrison's commitment, the band's interest in the Maharishi's teachings changed Western attitudes about Indian spirituality and encouraged the study of Transcendental Meditation. The visit was also the most productive period for the band's songwriting. The Maharishi School is a non-academically selective free school in Lathom, Lancashire, UK. The school was founded in 1986 and uses "consciousness-based education" methods including Transcendental Meditation. Despite receiving criticism for teaching pseudoscience and being for "the education of the members of a religious sect", it became a flagship free school in 2011. David Wants to Fly is a 2010 German documentary film that follows its director, Berlin-based, film school graduate David Sieveking, as he interacts with his film hero David Lynch, and explores the Transcendental Meditation movement. The film chronicles a period of time in Sieveking's life that includes his off-and-on relationship with his girlfriend as well as his travels to the United States, Holland and India. The film has received awards and honorable mentions as well as criticism. Bob Roth is an American Transcendental Meditation (TM) teacher and author. He is the CEO of the David Lynch Foundation and a director of the Center for Leadership Performance.